3. 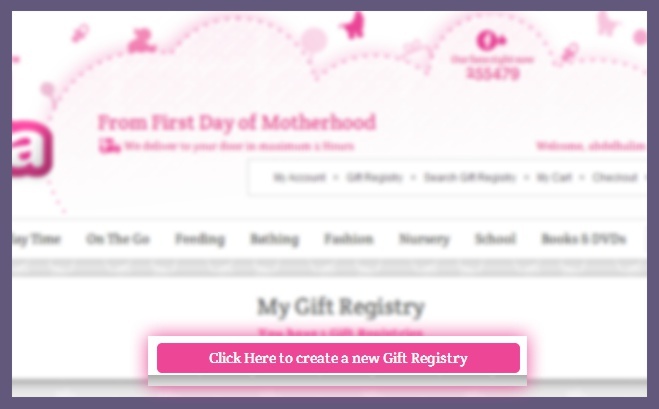 Click on "Click Here to create a new Gift Registry"
4. 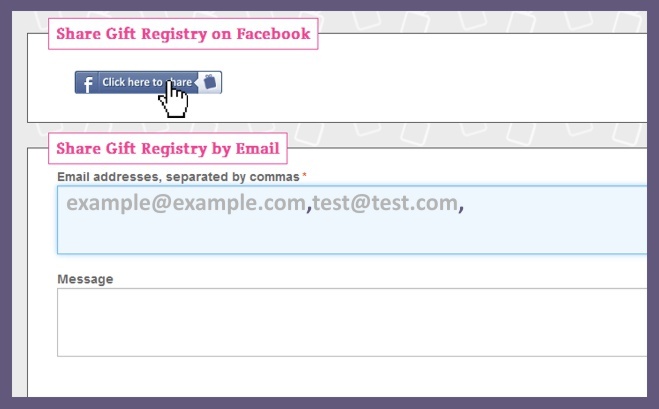 Fill in your gift registry information and "Save"
over each product that lets you add the product to your gift registry. 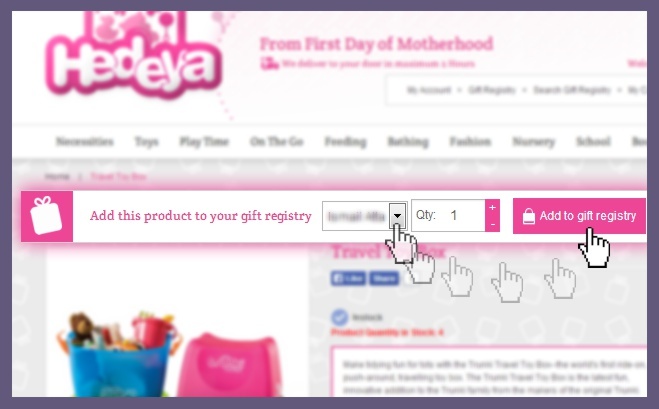 Select the gift registry you need to add the product to it then click "Add to Gift Registry"
6. 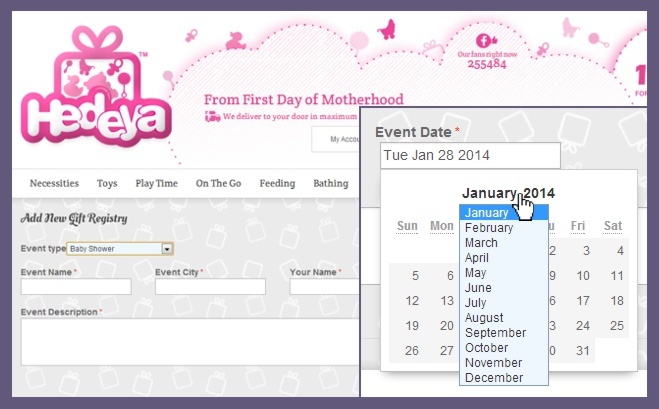 You can go to "Gift Registry" again to create new gift registries, edit or delete old ones. Also to share your gift reigstries on facebook or email it to your friends and relatives.